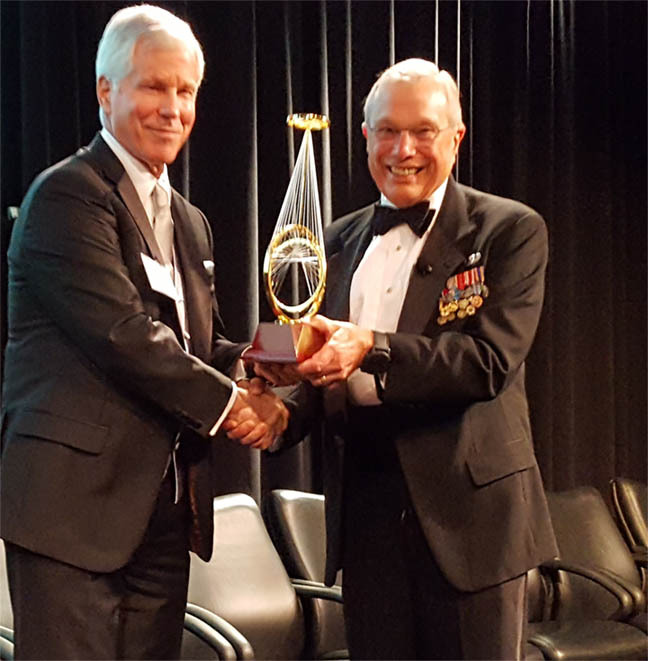 A 21-year veteran of the U.S. Air Force, Bradford W. Parkinson finished up his career as a colonel who led the fight to gain Department of Defense (DoD) approval of the Global Positioning System. He subsequently formed and led the NAVSTAR GPS Joint Program Office from 1973-78. As a result of these efforts, Parkinson received the 1977 Defense Department Superior Performance Award as the best program director in the Air Force. Parkinson later served in a series of senior management positions for Rockwell Collins and Intermetrics, before joining the Stanford University faculty in 1984. He was named the Edward C. Wells Professor of Aeronautics & Astronautics, an endowed chair, in 1995. He returned to Stanford after a 9-month leave of absence in 1999 during which time he was acting CEO/President of Trimble Navigation, where he remains a member of the board of directors. In 2001 he became an emeritus professor at Stanford in 2001 and was immediately recalled and continues as the principal investigator for several GPS research programs and teaches innovative uses of GPS. Parkinson was the program manager (and continues as the associate program manager and co-principal investigator) for NASA’s Gravity Probe-B Program. This $500-million program uses orbiting gyroscopes to test Einstein’s General Theory of Relativity and received the 2005 NASA group achievement award. He is author or coauthor of more than 100 technical papers on GPS and Gravity Probe-B, and is the co-editor of the AIAA’s best selling two volume set, Global Positioning System: Theory and Applications. 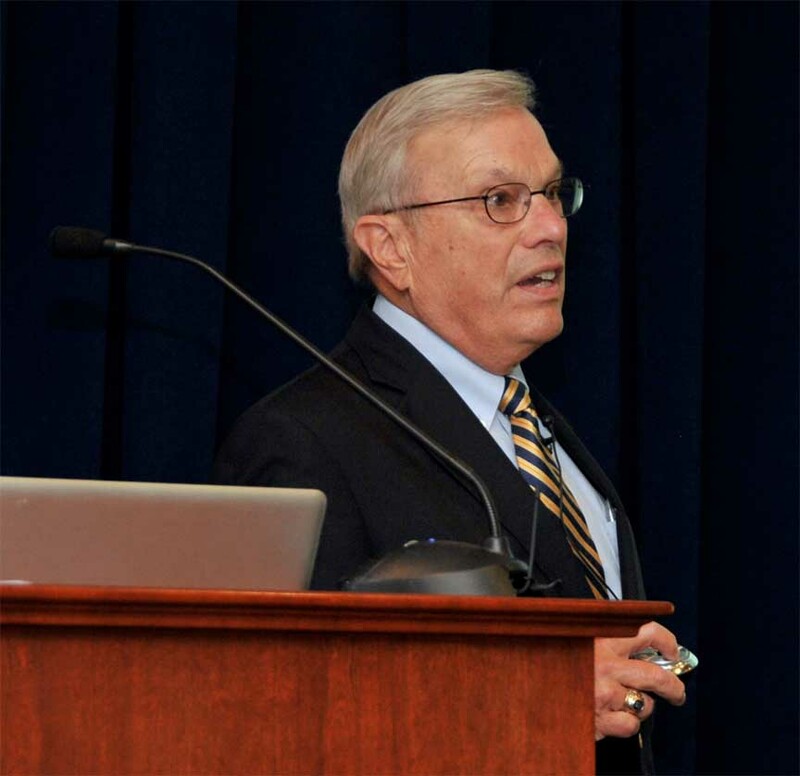 In 2003 Parkinson was awarded the Charles Stark Draper prize of the National Academy of Engineering for his leadership in developing GPS. He has received many other awards and honors from professional organizations, including the American Institute of Aeronautics and Astronautics (AIAA), the Institute of Electrical and Electronic Engineers, and the U.S. Institute of Navigation. is B.S. in general engineering at the U.S. Naval Academy, an M.S. in aeronautics and astronautics at MIT, and his Ph.D. in aeronautics and astronautics at Stanford. He logged more than 150 hours of combat missions in Southeast Asia. Among his military awards are the Bronze Star, Legion of Merit, Meritorious Service Medal, and a Presidential Unit Citation.